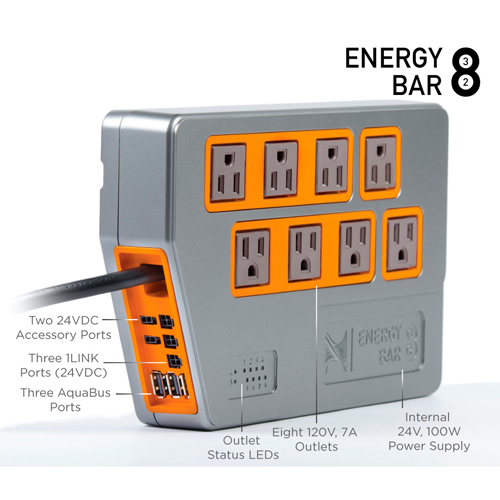 Brief Description: The Energy Bar 832 has been completely redesigned, with more robust outlets, individual LEDs show the status of each outlet, per outlet power consumption, and 1Link Accessories like the DOS and WAV pump can now connect directly to the Energy Bar 832 saving room, and eliminating messy cords keeping your tanks equipment looking perfect. Notify me when "Energy Bar 832" is re-stocked. 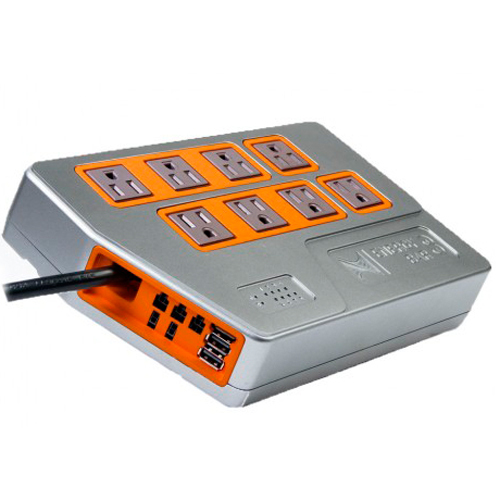 The completely redesigned Energy Bar 832 now has eight individual, 7 amp relayed outlets letting you use any outlet for any device. Each individual outlet can also monitor and detect power usage in amps or watts, letting you set alarms and send emails when pumps have clogged or failed, lights are not turning on, heaters leaking current, letting you be notified of the issue before it becomes a problem. With electricity costing more and more money per Kilowatt hour having the ability to monitor each pump, heater, and light lets you now make better decisions on the overall value of your equipment.